Welcome to Maryland.gov - A gateway to information and services within and around the State of Maryland. Whether you are a citizen, business, or visitor, Maryland.gov has many features designed to help you to quickly and easily locate information and engage with government. We invite you to experience Maryland through the beautiful photography and curated experiences with links to events and current news streams. The portal has been designed with a Mobile First approach using responsive design techniques to automatically scale the content to your browser, tablet or mobile device giving you access to government resources anywhere and anytime. The prominently placed Instant Search delivers targeted results for information, online services, maps and publications across the Maryland.gov enterprise of agencies. Information throughout the website is categorized by main topics: Residents, Business, Government, Jobs, Education, Visitors and Online Services. Each topic is further organized into relevant subcategories to make information easy to locate. A separate section for Online Services provides easy access to applications that allow citizens and businesses to transact business with Maryland state agencies. Maryland.gov's newest feature, the MyMARYLAND Clipboard, allows you to save your favorite links for future use simply by hovering over links and clicking them to add to your Clipboard. The site automatically detects your location and you can now easily click the Near Me icon to find government offices, MVA wait times, state parks and state jobs. 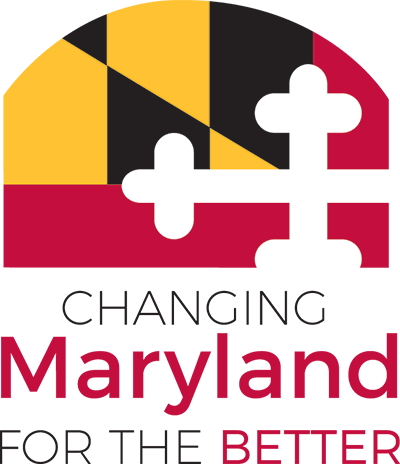 To learn more about MyMARYLAND, please visit the Learn More page. On the home page, the News & Events section highlights the top news stories, featured services and the public meetings and events happening around Maryland. Maryland's extensive social media channels are heavily integrated throughout Maryland.gov to help you engage with your government. The Connect With Us section on the home page summarizes the social media channels with real-time feeds and you can click on View More Feeds to view the new Social Media Hub. You can also find in-context Twitter and You Tube feeds within the main navigation menus and on inner pages of the main topics. The Your Government section provides easy access to the State Agency Directory and Employee Phone Directory plus the Governor and Lt. Governor's websites. For easy reference on every page of the portal, the header and the footer contain links to important information and services. You can access the 24/7 eGov Technical Support and the Settings menu in the header of the site. In the footer, you can quickly locate the Help, Social Media Directory, Social Hub and Citizen Alerts links. We thank you for visiting Maryland.Gov and invite you to provide feedback by visiting the eGov Technical Support page​.